What do you get someone who loves food, but has it all? Harper's Bazaar has put together the perfect gift guide for that foodie in your life. Included is Tilit’s chic, yet functional, apron, and Katz’s Delicatessen’s Taste of New York package for that meat-lover in your life. We’re going into the deep blue, but no need to grab your scuba gear. PureWow profiles Snøhetta, a Norwigen design firm, and their breakthrough in next-level dining – an underwater restaurant. The sci-fi looking establishment, called Under, will feature a gigantic panoramic window looking out onto the seabed and it will also double as a marine life research center. Sounds like the yummiest catch to us! We all know and love pumpkin pie, but the pumpkin isn’t the only delicious gourd in the game! Self shares some of the best desserts made from butternut squash. 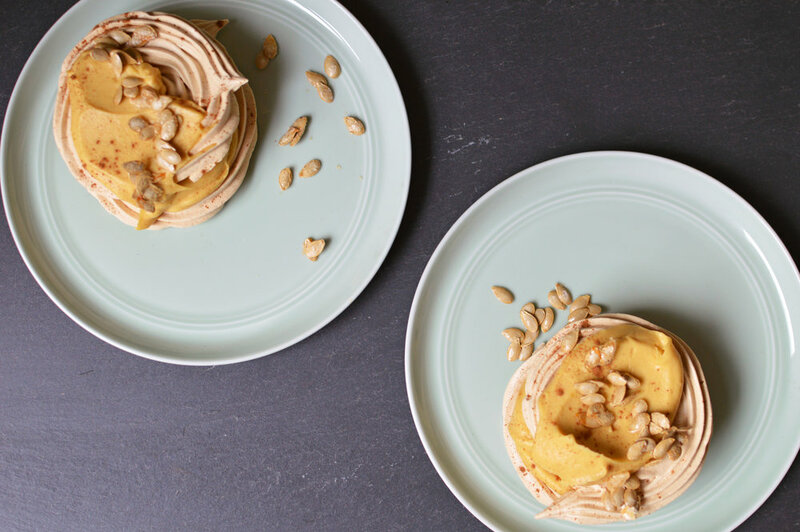 Our friends at the Natural Gourmet Institute came up with some show-stopping recipes, like the Cinnamon Maple Pavlova with whipped butternut squash cream, and a Vegan Butternut Tart with pecan crust. The Jetsons’ life might be closer than we think. Uber is partnering with NASA to create their newest invention, uberAir. Their network of on-demand flying cars will ambitiously be rolled out by 2020. Fast Company outlines a few hurdles Uber will have to deal with before this concept becomes a reality. We’re just excited to dodge NYC’s rush-hour traffic! 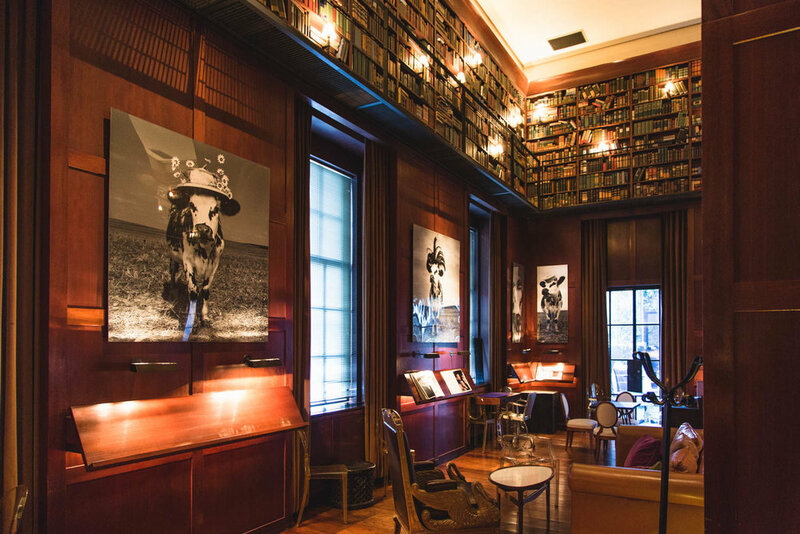 Hudson Hotel’s Library Bar has the perfect atmosphere for a high-end scotch tasting, and a scotch tasting (according to Hannah Orenstein of Elite Daily) is the best place to meet men! Orenstein attended the iconic library event to not only try their 13 rare scotch pours, but to peruse some eligible bachelors as well. Who knows, by Valentine’s Day you could be sipping scotch by the fire with your new love. Iconic UK rain book brand, Hunter, created an experiential marketing exhibit in the middle of Grand Central. The Scottish company, known for their rubber Wellington boots, imitated the classic rainy weather of the Scottish Highlands within a greenhouse. Forbes agrees that the misty moor-inspired exhibit is an innovative way to share their brand story and connect with their consumer. Nothing screams Christmas in New York more than the iconic Home Alone 2 movie. Instead of re-watching this classic for the 100th time, actually live in Kevin McCallister’s shoes with The Plaza Hotel’s “Live Like Kevin” Home Alone package. Tasting Table lays out all that the stay includes: a box-set of the entire film series, a commemorative backpack for running through the city, express passes to the Empire State Building, a Home Alone-inspired limo tour and, of course, the sundae cart room service. Merry Christmas you filthy animals! Our team keeps on growing! We’re excited to welcome our newest Senior Account Executive, Rebecca Eisenberg, and Account Coordinators, Jenn Cheng and Alex Stern!